This year has been marked by a fact that has been on the minds of gamers around the world: the launch of Fortnite for iPhone. 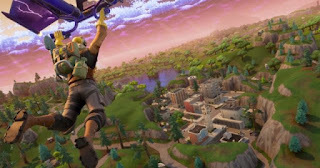 The incredible game of Epic Games was made to wait , but all the expectation that was generated did nothing but give wings to all. The game is an unbeatable success and has no turning back. We have known according to the developer's own website that you can now play at 60 fps, with which you get a gaming experience closer to reality, with more realistic movements. Of course, you can do it if you have an iPhone launched in 2018, an iPhone XS, iPhone XS Max or iPhone XR , which are those that carry A12X processor. According to announcements, the next device compatible with this speed on the screen will be the new iPad Pro, who plays on that tablet will be able to verify that the experience is totally revolutionary, and at the big screen. According to reports, this mode will not allow your device to overheat , although logically the battery will be downloaded more quickly when requesting more resources. And what will happen on the Android platform? Frotnite came later, much more, than on iOS. From Epic Games inform that their team is working so that the androids can also configure their devices at 60 fps, but still can not give a specific date. And since Epic Games already say it: it will only be possible in some high-end devices. We already know what are the preferences of developers to launch the news, and we are Apple we appreciate it. Tell us how is the Fornite experience at that speed, do you notice the 60 fps? Is there much difference with respect to battery life?